General Michael Hayden served as director of the CIA and deputy director of National Intelligence at a time when the course of world events was changing at a rapidly accelerating rate. As the director of the country’s keystone intelligence-gathering agency, he was on the frontline of geopolitical strife and the war on terrorism at a time when communication was being revolutionized. He understands the dangers, risks, and potential rewards in the political, economic, and security situations facing the planet. Exclusively represented by Leading Authorities, General Hayden dissects the political situations in the hot spots in every corner of the world, analyzing the tumultuous global environment and what it all means for the American people and America’s interests. At the Center of Central Intelligence: After nearly forty years in the U.S. Air Force, General Hayden became director of the CIA in May of 2006, capping a career in service to the United States. Originally appointed by President Bill Clinton to the post of director of the National Security Agency (NSA), General Hayden became the longest-tenured NSA director, serving from 1999-2005. In that time, he worked to put a human face on the famously secretive agency. Sensing that the world of information was changing rapidly and that the Agency would also have to change to keep up with this new atmosphere, General Hayden directed an effort to explain to the American people the role of the NSA and also to make more visible on the national scene. Strategic Command in Dangerous Times: From April of 2005 to May of 2006, General Hayden was the number one military intelligence officer in the country, serving as deputy director of National Intelligence. In this capacity, he oversaw the entire intelligence community, including the CIA, NSA, the National Geospatial-Intelligence Agency, and the National Reconnaissance Office. He directed all four agencies to make them work as a unit while maintaining the specialties and unique qualities that made them successful. 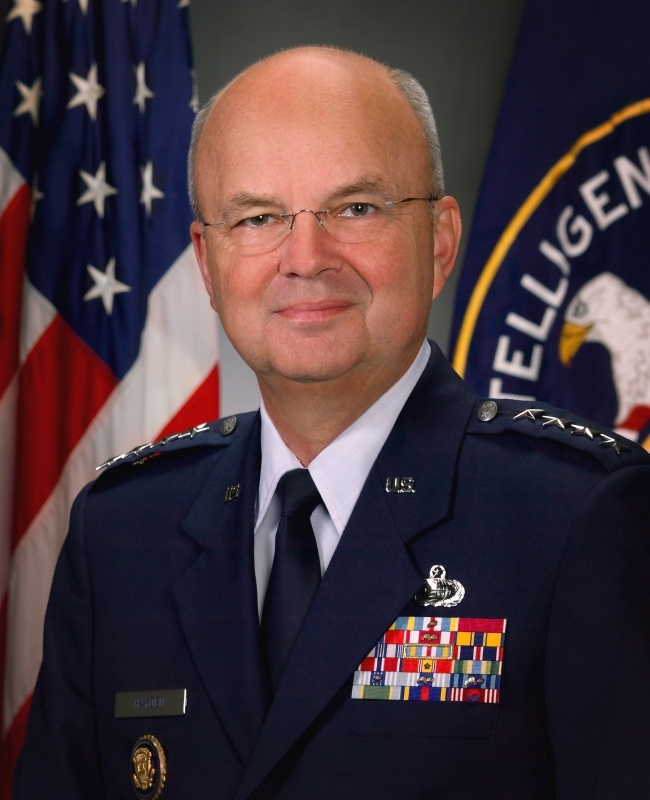 More About General Michael Hayden: General Hayden entered active duty in the U.S.A.F. in 1969 after earning a bachelor’s degree in history and a master’s degree in modern American history, both from Duquesne University. In his military career, General Hayden served as commander of the Air Intelligence Agency and director of the Joint Command and Control Warfare Center. He has also served in senior staff positions at the Pentagon, at the headquarters of the U.S. European Command, at the National Security Council, and the U.S. Embassy in Bulgaria. The general has also served as deputy chief of staff for the United Nations Command and U.S. Forces in South Korea.